As early as in 1704 Peter the Great conceives to build in a new city St. Petersburg the monastery for Holu relics, as befits the capital. The chosen place, after liberation of Vyborg in 1710, was marked by two crosses on either sides of the Chernaya River. According to folk tales on this place there was the most important historical battle of 1240 – Alexander Nevsky's fight with Swedes. However this legend is not absolutely exact, the famed fight took place not in the orifice of the Chernaya river, but notably higher across Neva – there, in the orifice of Ingria, in the 16th century was formed the memorable stave church. 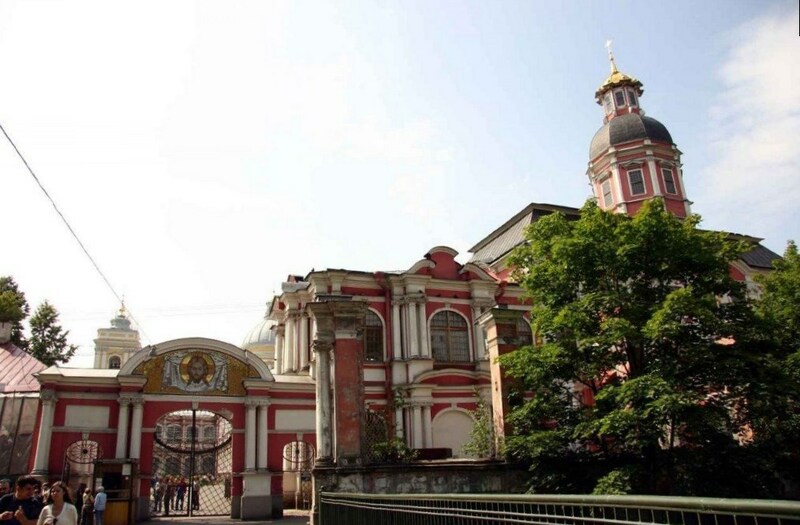 Construction of the Alexander Nevski Monastery begins since 1712. It is known that for works on building peasants were excused from tributes for three years. In 1713 the stave church was finished and dedicated. Even during the construction process devotionalists began to inflow here, after irreducible arrangement the brotherhood of the monastery began to be increased by cloisterers. As it was conceived by Peter the Great the Nevski Monastery had to collect all best Russian cloistererforces wherefore according to special lists monks were called by imperial decrees practically from all Russian dioceses. 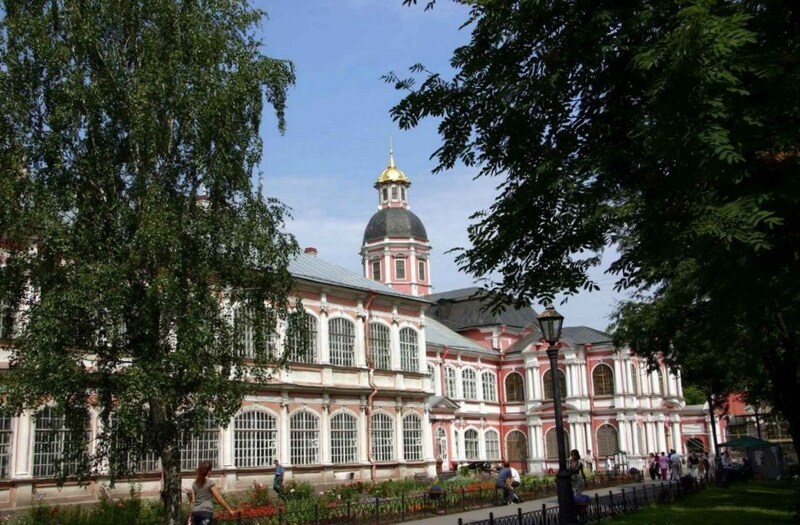 Peter the Great wished to see the Alexander Nevski Monastery as a sample which would realize the "utilitarian" idea of the monks' service to the world. For that purpose was planned the creation of medical, educational, corrective and charitable institutions. In such a manner, for example, they were going to open a shelter for retired and crippled soldiers and hospital and also the first state "out-patient department for drug addicts" - a special institution for compulsory treatment of drunkards. In the monks' idea, fortunately for monastery, all these plans weren't carried out as the prayer has to be the main task of the monastery. 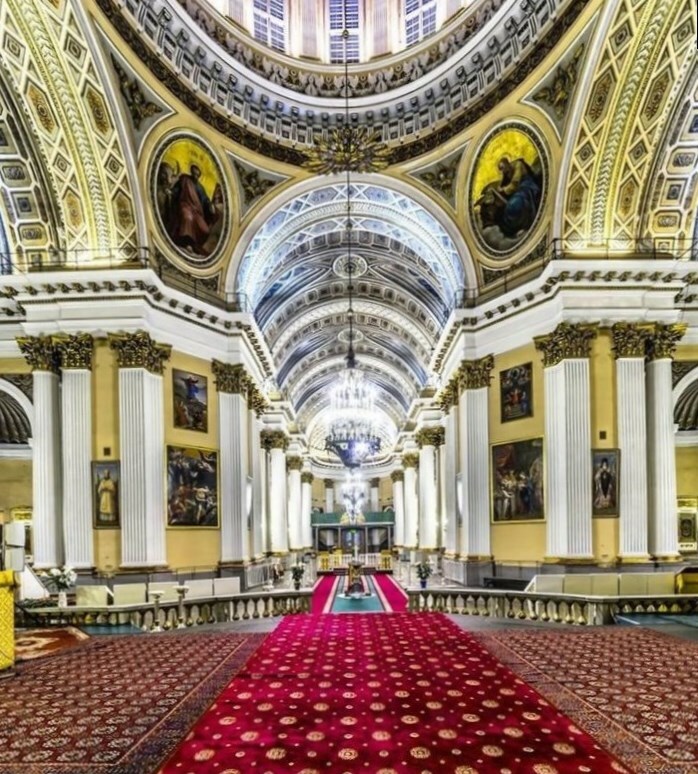 Meanwhile the Alexander Nevski Monastery began to play a role of the spiritual light’s source almost at once – in 1720 they transfer a camp of the church press from St. Petersburg's printing house. The first book was "A lecture in day of St. Alexander Nevski", the ABC book and books of outreaches and manuals were printed. In this place one of the first schools of St.-Petersburg was created in 1721 where they taught the elements of reading and writing, and accepted even the orphans. By 1726 this school grows to Aleksandro-Nevski Slavyano - Greeko-Latin seminary which later, in 1797 becomes the largest Aleksandro-Nevski Academy. In 1809 on reform of the spiritual education's system it will be transformed to the St. Petersburg Spiritual Academy. On the morrow of Great Northern War Pyotr the Great finishes his idea and in 1724 to the monastery solemnly transfer the hallows of the St. nawab Alexander Nevski. Highly decorated artophorion with the reliquary with the remains of the Second patron of St.-Petersburg placed in it reached from Vladimir nearly during a year, prayers were served in all cities on the way, and thousands of people came to bow to a relic. When the main monastery Holy Trinity Cathedral was finished a silver shrine with the relics of A. Nevski occupied a special niche in it. And since 1743 Elizabeth of Russia establishes religious procession from the cathedral across Nevski to the monastery for a homologous prayer. The Alexander Nevski Monastery almost all the time was Godarpura of the royal lineage and the residence of the spiritual power of a principal city. The splendor and elegance of the temples' furniture were caused by divine services for august personages, and cemeteries of the monastery were high elite. (And, it is an interesting fact that also atheists Bolsheviks wished to rest in peace at Alexander Nevski Monastery, and, now there is a "A communistic platform" with the burial of "eminent Soviet party persons" on this territory. Paul the Great the decree from 1797 gives to the Aleksandro-Nevsky to the Alexander Nevski Monastery, along with Troicko-Sergeevskaya monastery and Kiev Pechersk monastery. Then and all main functions of this monastery received the independent organizations: administrative activity has passed into the Consistory, school business has departed in row spiritual educational institutions, bodies of church management and science began to be engaged in publishing house. Now Alexander Nevski Lavra is completely concentrated on a prayer and a blagotvoreniye after the exile of monks endured by it in the thirties of the last century, after carrying out of the A. Nevsky's relics, after traditional transformation of a temple into economic warehouses, etc. Everything fall right into place, and since 1989 a silver reliquary with the remains of A. Nevski is again the main relic. Not only monks, but also a great number of Orthodox Christians from all the great Russia join to bow to the main relic.